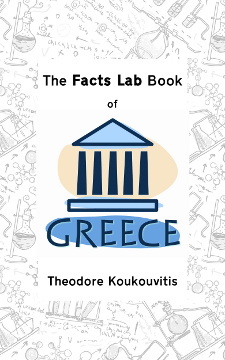 It’s now called The Facts Lab Book of Greece (imaginative, huh?) and has a shiny new cover modelled on the other books in the series, The Facts Lab Book of Brazil and The Facts Lab Book of Insects . (The old cover was driving me mental – just a lot of boring text that did absolutely nothing to catch the eye.) It’s unchanged in other respects. To celebrate the relaunch, we’re giving it away free for two days! You can get it at the Kindle Store for nothing from 0700 GMT on Friday 14 March. But make sure you don’t drag your feet, because the offer closes again 48 hours later, at 0700 GMT on Sunday 16 March! Just click on the book cover to get it from Amazon.com. If you’re registered with a different country branch of Amazon, they’ll offer you a link to get it from your branch. Please do leave a review if you enjoy it – I’d really appreciate it. Your reviews help drive sales, and your feedback helps me get a clearer picture of what readers like and don’t like. Thanks, and have fun reading the book!